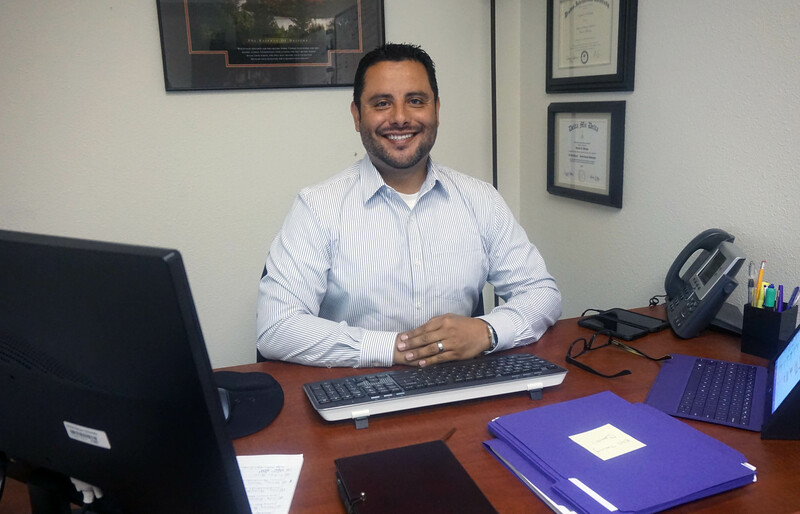 Eduardo Borquez had it tough growing up in Mexico, but it makes him appreciate even more what he has today as manager of GCU’s new Small Business Consulting Center. 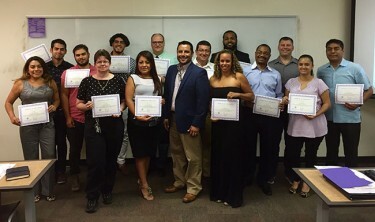 When Eduardo Borquez helps Grand Canyon University students and alumni develop a plan for their business start-up idea or goes out into the community to help a mom-and-pop build a brand, he brings more than just his knowledge of the subject. He brings a heart for servant leadership. He brings a Christian’s passion for helping people. He brings the perspective of someone who grew up without electricity or running water in a small Mexican village and didn’t speak English when he came to the United States at age 15. But, mainly, the manager of GCU’s new Small Business Consulting Center just brings it, period. Gibb had the idea for the Consulting Center — essentially, GCU’s own entrepreneurial incubator — when he came on board two years ago. The idea synergized into an opportunity that not only helps people both on and off campus develop businesses, it gives students valuable experience by having them serve as consultants for neighborhood start-ups. But it needed a leader, someone personable, dynamic, bilingual and eager to reach out in every direction to take the synergy of the campus culture out into the community. Enter Borquez, who had been an adjunct instructor at GCU, runs his own business-consulting company and was eager to do more. Students now have a place to go if they feel the entrepreneurial itch but don’t quite know how to scratch it. But Borquez also spends much of his time going door-to-door to let neighborhood businesspeople know they can turn to GCU for help. Sometimes it takes several visits to get their attention, but “by the third or fourth time, they usually listen to what we have to offer,” he said. What GCU is offering is a series of free, on-campus seminars that cover everything from developing a roadmap via the business model canvas to identifying their minimum viable product (MVP) to writing a business plan to launch their business. The first one, in Spanish, was last week, and the first English sessions are from 5:30 to 9:30 p.m. the next two Wednesdays and Thursdays, June 15-16 and June 22-23. 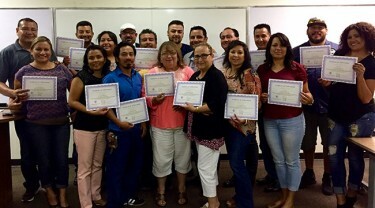 Future seminars for Spanish speakers are on Tuesdays through June 28, and more seminars in both languages are planned for the fall. Anyone interested in either session should contact Borquez at 602-639-7925 or Eduardo.borquez@gcu.edu. Through his immersion into the community, Borquez has learned that the hunger for entrepreneurship in west Phoenix is strong — “10 on a scale of 1 to 10,” he said. Many of them just need a hand. He also heard about the 30 percent drop in crime that GCU has helped achieve with its Neighborhood Safety Initiative in the Canyon Corridor, and the Consulting Center fits right in with that plan. GCU President Brian Mueller frequently talks about the link between a strong business culture and a thriving community. The Consulting Center is yet another example of the entrepreneurial spirit and “Conscious Capitalism” ideals that have become the trademark of CCOB under Gibb, who now has what he calls his “Four Musketeers” — Tim Kelley, assistant professor for entrepreneurship and economics, and three other faculty members, Borquez, Jon Ruybalid and Paul Waterman. Borquez said the Consulting Center will be 80 percent for students and 20 percent for the community, and the students’ involvement will be two-pronged: They can develop their own entrepreneurial ideas but also get valuable experience working with local businesses. Already, 31 students have taken advantage of the program. “Here’s an opportunity to plug in our students, and instead of creating that same marketing plan for a fictitious company, let’s work with that local business,” Borquez said. “That’s real-world experience. That’s huge. When he thinks about his own life experiences, Borquez reflects on the remarkable difference in his life from what he knew as a child. Two years later, his mother got a U.S. work visa and the family was off to San Diego. Borquez was even more blown away. “If I thought Tijuana was ‘wow,’ it was like that wow factor on steroids,” he said. His fondest memory of his first days in the U.S.? His first Happy Meal at McDonald’s. But not everything was happy. He was bullied at school because of the language barrier and relied on his mother’s advice — “When things get hard, just keep pushing through until things get better” — to keep moving forward. Four years later, he had mastered English and was on his way to degrees from Arizona Western College in Yuma, Western International University in Tempe, GCU, and Walden University in Minneapolis, where he is working on a doctorate. All that is well and good, but Borquez is most thankful for his wife, Monserrath, and their three children — sons Alex, 19, and Zahir, 4, and daughter Mia, 6 months. He said he doesn’t look at assets or achievements, he looks at God’s influence on his life. “I can say that everything I’ve lived was part of God’s plan because I feel in my heart that His purpose in my life is to truly help impact other people’s lives no matter where they are and no matter what type of income, what type of education or languages or beliefs or values they have,” he said. In that sense, the Consulting Center does more than just teach business skills — it teaches life skills, too. And when people tap into that knowledge, they’ll know how to bring it, too.